The caps and shoes are beautiful! 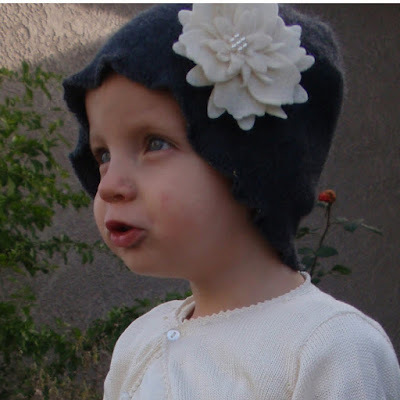 I would love to wear your beautiful gray cap with flower. I would like to look feminine. I would like to display your talents wherever I go. Thank you for being so creative and clever. 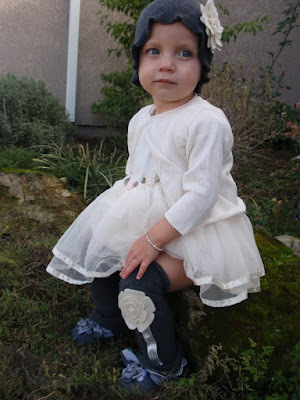 PS - Sarah would be willing to buy a matching one for Nina's head, too - or vice versus! 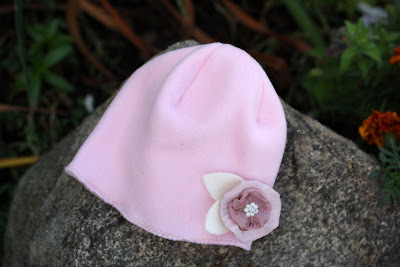 I would pick the a grey fleece cap with a cream felt flower - size Toddler. 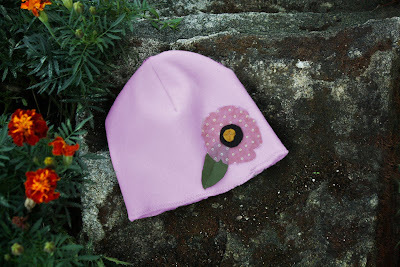 I have a niece who loves all things pink--a cap would make her (and me!) very happy! I love the caps! 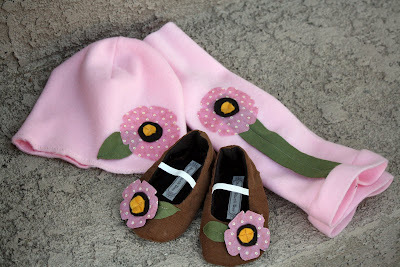 I'd pick the pink fleece with a satin yoyo and pearls posy - infant - for my daughter. I'd let you pick an adult size for me! I would pick the Pink fleece with a satin yoyo and pearls posy. in Child size!